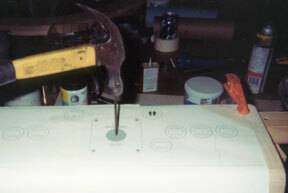 Converting a control panel to MVS layout. Here is our starting point. This was originally a Williams Joust control panel. For reasons unknown, it was converted into who knows what. Much as I would like to make it a Joust again, we are going to make it a respectable MVS control panel. First step - take off the existing overlay. This will require a putty knife, most likely a heat gun, and a whole lot of work. Under it I found a metal plate that was used to hold the buttons and joysticks for the last conversion. 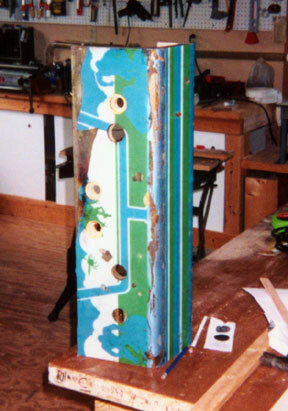 Here is the panel after it has been cleaned up with paint stripper. You can see that it has been re-drilled. We need to fix all that. Bondo is the wonder putty that will get us where we need to be. This stuff is amazing. Fill all the holes and cracks. 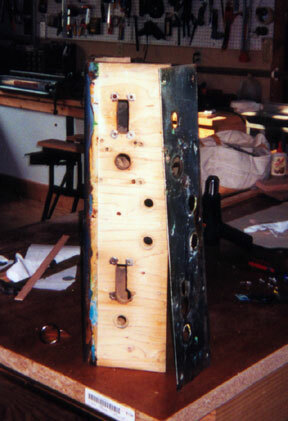 Bondo gets hot as it sets up, and you will need to do this in stages. Now take it outside and sand it down. Note the mask - Bondo dust is nasty stuff. 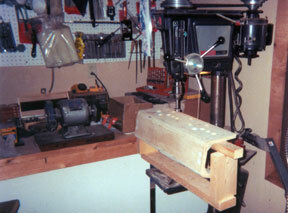 Here it is all sanded. 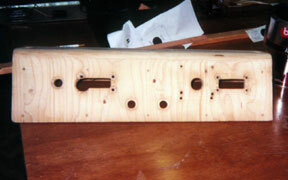 The holes are filled and we are ready to lay out the buttons to drill the holes. I used Visio to layout my template for where the sticks and buttons need to go. I'll put it in the downloads section soon. Tape it down so it won't move. 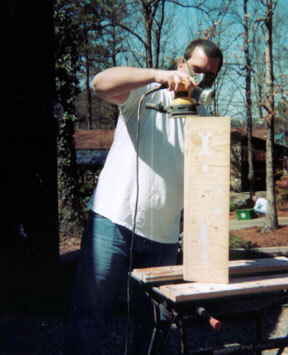 Use a nail to mark the center of all the holes so you drill in the right place.